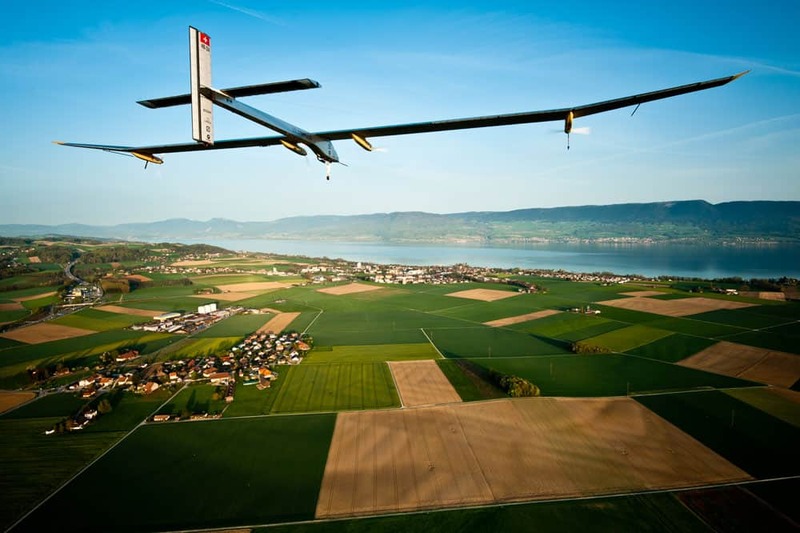 A few years back, two pilots, Bertrand Piccard, the famed Swiss balloonist and André Borschberg, a businessman and former Swiss Air Force pilot, presented the world with the first ultra long distance solar aircraft: Solar Impulse 1. 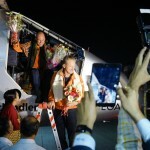 Bertrand Piccard and André Borschberg landing in Payerne, Vaud after a round trip to Morocco in July 2012. Copyright SolarImpulse. 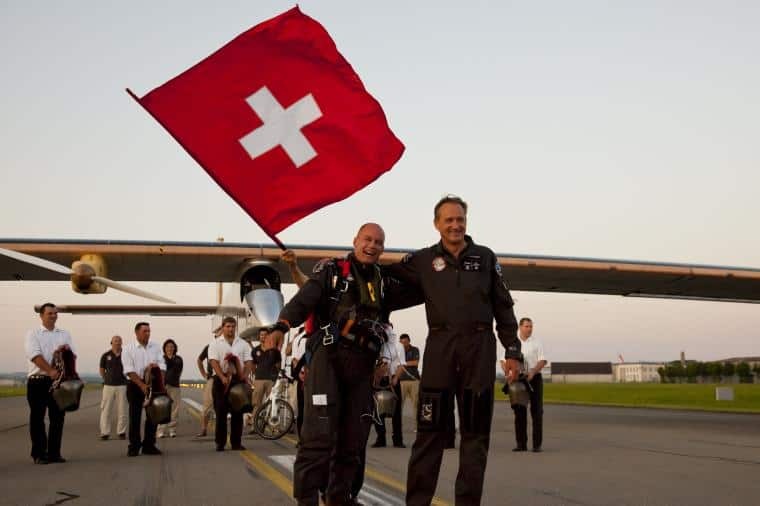 Following the record breaking 26-hour non-stop trip of Solar Impulse 1 in 2010, the Swiss pair and their team will soon start a new adventure in Solar Impulse 2. A few days ago this new aircraft left Switzerland on board a Boeing 747 and arrived not long after in Abu Dhabi, chosen as the flight’s starting point due its favourable weather conditions. 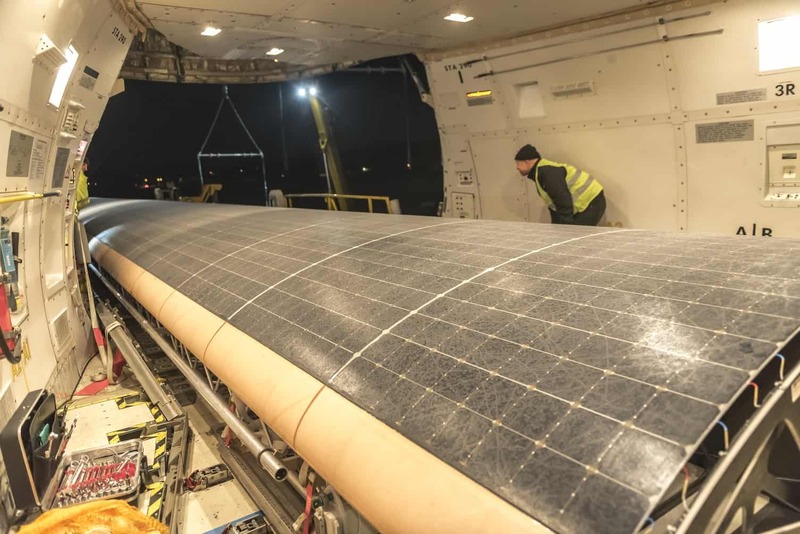 Putting Solar Impulse 2 on board a Boeing 747 on 5 January 2015. 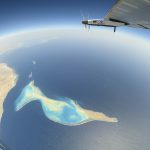 Copyright SolarImpulse. 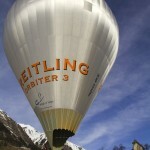 In March 2015 it will start its five-month voyage around the world. The first leg of this ten-leg-35,000-kilometre journey will follow an itinerary east over the Arabian Sea, India and Burma landing somewhere in Asia. It will then cross the Pacific Ocean, the United States, the Atlantic Ocean, southern Europe and North Africa before eventually landing back at its starting point in Abu Dhabi. The two legs across the Pacific and Atlantic Oceans will take five days and five nights. Unlike a typical aircraft, it has only one pilot, so it is not possible to take turns sleeping while in the air. Instead the pilots are forced to take short naps of 20 minutes and survive on only two to three hours of sleep over 24-hour periods. Staying alert under these conditions is a formidable challenge. It is critical to be able to go to sleep quickly and wake up fast, bringing new meaning to sleeping at the wheel. To achieve this they have worked with sleep experts at the CHUV in Lausanne. André uses meditation while Bertrand employs self-hypnosis and focuses his mind on the moment rather than the end. Bertrand in the simulation cockpit. Copyright SolarImpulse. The two masterminds behind this venture are excited about driving the future. André says “I know that dreams fuel innovation and I also know human commitment and new technologies can really change the world”. “A lot of people are going to be surprised ten years from now at where solar is. We look back ten years and we say: wow the world looks really different today. But when we look ten years ahead we think the world’s going to look the same, and it’s not. These are examples of technologies that will make ten years from now look just as different as it does when we look back ten years and see the enormous changes.” said U.S. Secretary of Energy, Ernest Moniz. 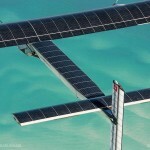 Journey length – 35,000 kilometres (500 hours of flying time); wingspan – 72 metres (the same as a Boeing 747); weight – 2.3 tons (the weight of an average car); cockpit size – 3.8 cubic metres; number of solar cells – 17,000; thickness of solar cells – 135 microns (the thickness of paper); maximum cruising altitude – 8,500 metres; speed range – 36 to 140 km/hour. Solar Impulse 2 flying over the Payerne area. Copyright SolarImpulse. For more information, please go to the official website.